Last week we introduced you to Frey Wines, the first non-GMO winery, whose wine is now being served at Farm Stand. Now there is even more reason for wine lovers to rejoice. We’re pleased to announce Wine Nights every Monday and Tuesday! We know the start of the week can be tough sometimes, but hopefully now you’ll be able to take the edge off by taking advantage of 50% off select wine bottles every Monday and Tuesday from a wide selection of both domestic and international wines. 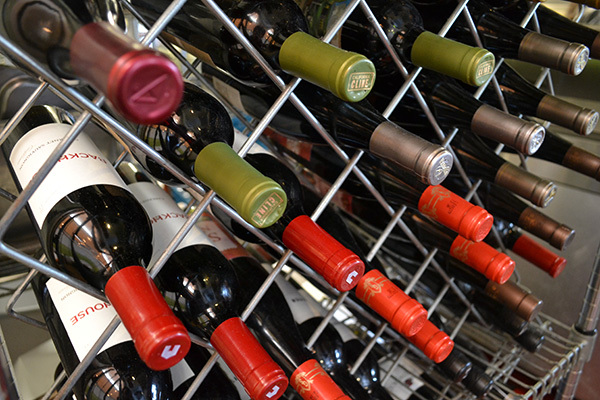 Farm Stand’s wine selections range from classic, noteworthy, fine wines to new exciting value conscious wines and from mature wines to current releases. Our wine list goes beyond the cursory selection such a casual place might offer, listing a dozen or so each whites and reds. Do have a favorite from the Farm Stand wine list? Let us know in the comments! Tags: frey wines, wine, wine nights | Permalink. If you’re at all familiar with the Farm Stand philosophy, you know how important it is too us that our ingredients are fresh, organic and free of GMOs (Genetically Modified Organisms). Chef Alex goes to great lengths to ensure that the ingredients he uses are safe to eat and free of these harmful chemicals. With that mission in mind, we we are happy to announce that we are now serving Frey Wines’ organic Natural White and Natural Red wines. Frey is the first non-GMO verified wine, and we are happy to be pouring it at Farm Stand. Frey Vineyards, located in Mendocino County, CA, has the distinction of being America’s first organic winery. Frey uses holistic vineyard management to sustain a healthy balance in their vineyard instead of using harmful pesticides and fertilizers. Frey takes their ingredients seriously, which is why they were will to undertake a three year process to ensure that the yeast they used to make their wine was completely free of GMOs. 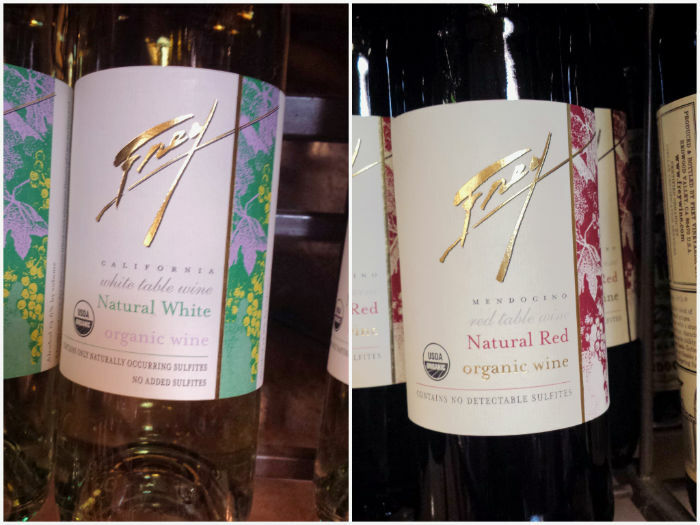 Not only are Frey wines non-GMO, but they are also free of added sulfites and gluten-free. In a Frey wine you can be confident that you are only tasting one thing: grapes! Tags: california, drink, frey wines, gluten free, natural, non gmo, organic, wine | Permalink. The weather starts to warm up, the nights get longer. It must mean only one thing – Spring is here! And with Spring comes the Spring planting season and Spring fruits. As many “seasoned” fruit planters know, if you want to fully enjoy fresh, seasonal fruit during Summer, then you have to begin planting in Spring. Here is a list of five delicious fruits to plant in your garden this Spring or look for at the farmers market. 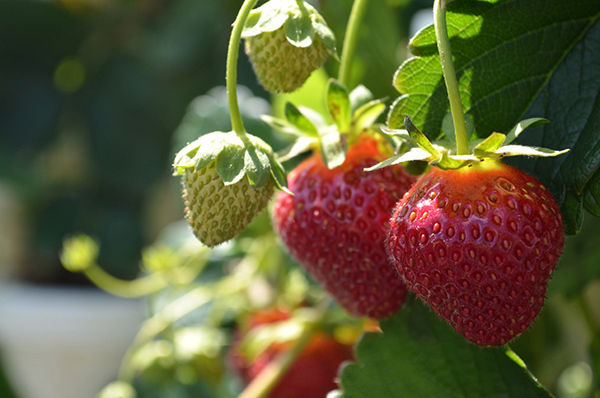 Strawberries – There’s nothing quite like biting into that first juicy strawberry of the season. In warmer climates, expect to see strawberries show up at Farmer markets in early Spring, and in mid-Summer in colder areas. Apricots – Another fruit known for its juiciness is the apricot. Apricots are for baked desserts, such as an apricot tart. They also make for a delicious topping sliced over ice cream. Cherries – The shinier the cherry, the better. Look for cherries that are without bruises for maximum flavor. Cherries tend to start showing up at the market in late Spring. Kiwifruits – Kiwi is a rich source of vitamin C and vitamin K, and a good source of dietary fiber and vitamin E. Oh, and it tastes great! Grapefruits – During Spring is when you want to harvest your grapefruits. This is when they are at their juiciest. Grapefruits go great with salmon, as well as in fresh seasonal salads. Tags: apricots, cherries, citrus, seasonal, spring, spring fruits, strawberries | Permalink. In the past we’ve shared with you the many health benefits of hummus. Most people know how well it goes with pita bread as a tasty and healthy dip, but there are also other great ways to incorporate hummus into your diet. 1. Beyond pita bread, hummus a delicious dip with raw vegetables. A few vegetables to try with hummus include cucumbers, zucchini, grapes, cherry tomatoes, cauliflower and broccoli. 2. Ditch the mayonnaise! If you’re looking for a spread for your sandwich, you can’t do much better than hummus. Mayo is both fatty and not nearly as flavorful as hummus. Try hummus next time to bring a whole new flavor profile to your sandwich or wrap. 3. Hummus goes great with salads as a unique, healthy dressing. Take some hummus, blend it with broth and wine until it you get a dressing with a nice, drizzling consistency. 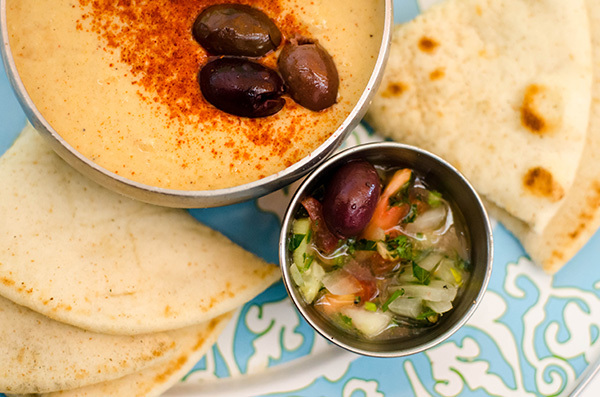 How do you like to add hummus to your diet? Let us know in the comments! Tags: chickpeas, dips, health, hummus, middle eastern, sandwiches | Permalink.